Vibrant colors of the season will lift your spirits and liven up your day! 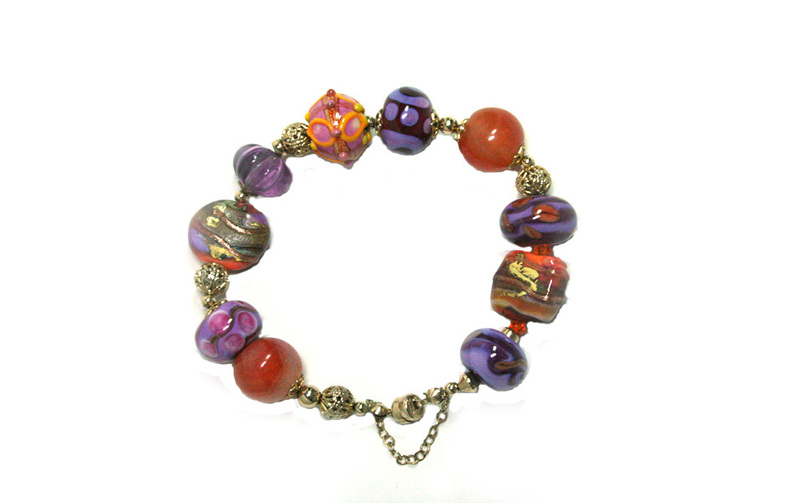 Perfectly made lampwork beads by Catherine Howard and Harriet Harrison together with vintage Jasper beads and 14/20 gold filled beads make a statement in this one of a kind bracelet. Gold filled magnetic clasp and safety chain. Fits 7 – 7.5 inch wrist.